Thanks for expressing an interest in PyLadies Australia! We hope this will be the first of many newsletters. Since launching the PyLadies Australia website in December, we've had 22 people express an interest in participating, with seven members attending our first organisers meeting. Are you interested in meeting other PyLadies Australia members in your area? Register your location and we'll do our best to introduce you! Because our members are spread across Australia, we would like to see if running an OpenTechSchool workshop remotely can work, and are looking for people interested in being participants and coaches. We thought we'd try 'Data processing with Python' first, and if it works out we can look at some of the other Python workshops they offer. The tutorial is run as a "learn at your own pace" workshop, and coaches are available to help participants overcome problems. For participants, this workshop assumes a basic level of Python knowledge - about what you'd have if you completed the beginners workshop. As a coach you don't need to be familiar with the content of this particular workshop, just have a general knowledge of Python and willingness to help the participants solve problems. An introductory guide for coaches is also available. This will be an experiment, so we welcome suggestions from both participants and coaches on how to make it work. To register your interest in the workshop, please sign up here. If you're interested in coaching another OpenTechSchool workshop (or a workshop from another source), please contact us. Web devs - we need you! We're on the lookout for web developers to help build a bigger and better PyLadies Australia website. Beginners are encouraged to participate and learn alongside more experienced developers. Experienced developers are needed to share their knowledge, teach others and guide the project to launch. The site will be open source and built using Mezzanine and Django. If you're interested in participating, please sign up here. PyConAU is Australia's annual conference covering the Python programming language. This year's conference will be hosted in Brisbane from the 20-25th of August. The PyCon team are now calling for proposals and would love to see lots of PyLadies sharing their Python experiences. 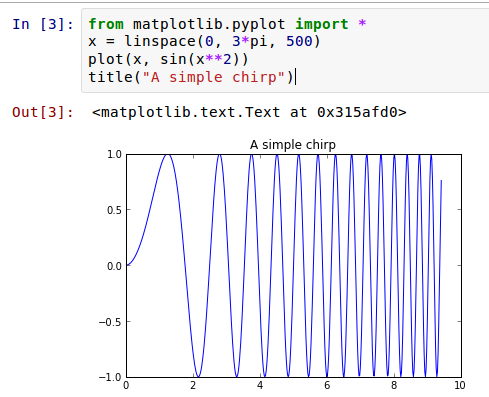 "We’re looking for proposals for presentations and tutorials on any aspect of Python programming, at all skill levels from novice to advanced." "We welcome first-time speakers; we are a community conference and we are eager to hear about your experience." That's ok. Like our ladies in the US, we'd like to help you with brainstorming, preparing your proposal, and practicing your talk. If this floats your boat, please contact us. If you're an experienced presenter (who can help others), we'd also love to hear from you. Brenda is currently completing a PhD in Science Communication at the ANU, where she is using data mining on social media to understand public attitudes toward science and technology. She is a sessional lecturer and tutor at the Australian National Centre for the Public Awareness of Science. In 2012 she won the ANU Award for Excellence in Tutoring or Demonstrating. She is a keen supporter of open source, open hardware and open science. She is a founding member of MakeHackVoid, a hackerspace community in Canberra. At MHV she has organised Arduino workshops and Arduino days and participated in a series of workshops building and flying a quadcopter based on Ardupilot. She started using Python for her research in late 2011 and attended the Canberra Python user group and then went to Pyconau in Hobart in 2012. 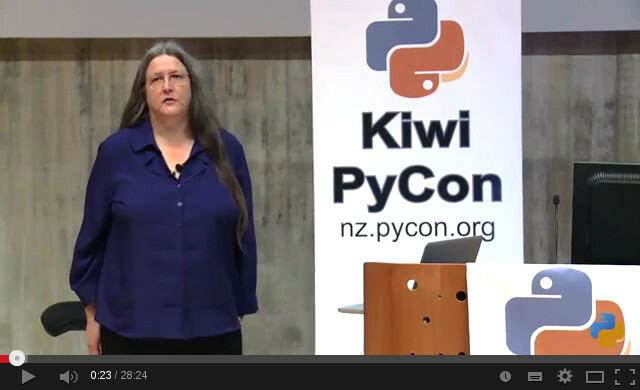 In 2013 she presented at both Pyconau and KiwiPycon with financial assistance from the python diversity grants. Her first programming experience was in 1979 writing Fortran on punch cards while studying Forestry. Manager of IT Support Services for the Department of Conservation and Natural Resources, managing the hardware and software selection, user training and user support for over 2,000 microcomputers across Victoria. Creating programs to allow students to collect and return environmental data for Waterwatch and Saltwatch outreach in schools. During 1993 she was the Australian technical expert for the ICL/Fujitsu TeamOffice Groupware suite whilst working the Australian computer design and manufacturer Terran Computers. Founder and Technical Director of The Reef Multimedia, an award winning web design company which created the first corporate website in Australia for Norwich Union Financial Services Group. Do you know a woman in STEM whose achievements and contributions deserve highlighting? Nominate them to be featured in our 'In the Spotlight' section.